A car accident investigation is one of the most common assignments given to both private investigators and insurance investigators alike. 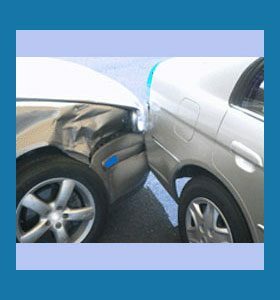 Car accidents may be simple events which entail little damage, injury or speculation. However, many automobile collisions can be extremely complicated occurrences, which involve multiple vehicles, tremendous property damage and human collateral damage, as well as the potential for ongoing civil or even criminal litigation. This guide provides advice on investigating motor vehicle accidents, in order to protect yourself from litigation, criminal charges and increased insurance premiums. Insurance investigators will always check into a car accident which involves a claim. Suspicious or large claims might invoke the interest of SIU agents or may entail investigation by outside private investigators that are hired by the insurance carrier or any party involved in the incident. Human injury or death increases the chance of a full investigation, as does large amounts of property damage. The more vehicles are involved in the event, the more complex the investigation will be for all parties. Obviously, events involving criminal activities, such as unauthorized driving, driving under the influence, hit and run cases, reckless indifference, assault with a deadly weapon or vehicular homicide will also entail investigation by governmental law enforcement agencies. All the investigators working on the case will prepare reports detailing what they feel happened to cause the crash and how it may have been avoided. Intricate accident scenarios, or disputed events, may be grounds for an accident reconstruction to be completed. Expert witnesses will typically take part in this reconstruction and will be asked to testify to their findings, if and when the case eventually goes to trial. If an investigation establishes clear liability, then the insurance carrier for the responsible party will typically have to fit the bill for the damage and injuries. Often, liability is shared among 2 or more drivers and even people who may have been involved in the accident as pedestrians or bicyclists. Car accidents are highly traumatic events, which can damage the body, spirit and property. Surviving a serious crash makes an indelible imprint on the soul and often leads to the desire for justice to be served upon negligent parties. Some car crashes may involve circumstances beyond the control of any of the drivers, such as acts of God, natural disasters and product liability issues. In these cases, all parties may be exempt from blame, although damage claims will have to be sorted out, nonetheless. To learn more detailed info about just how investigative arts can assist you if you have been involved in a car wreck, consult with a qualified professional investigator or contact your insurance company.